1226 Wales Dr Fort Myers, FL. | MLS# 218082284 | Southwest Florida Residential Real Estate for Sale. 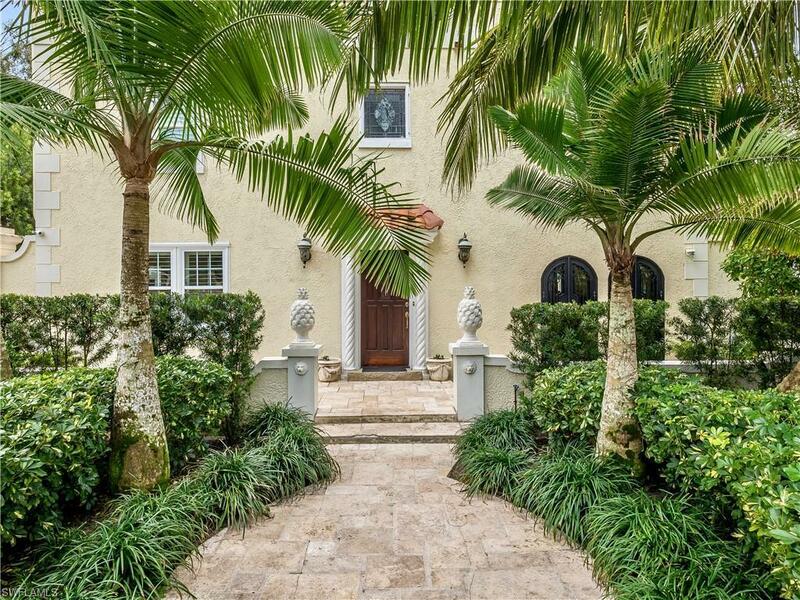 Fantastic 1925 Mediterranean revival architectural style home located off Historic McGregor boulevard in Fort Myers Florida. Enjoy an old world ambience throughout this wonderful well kept five bedroom 3 story home with 4600 ft.² of living. A place where family and friends feel welcome and excited With an inviting tone with flow between arched entryway gathering rooms. Features include a clean crisp kitchen with stainless steel appliances and coffee bar, original hard wood floors, wine room with Acadian wrought iron doors and windows, 3 indoor and outdoor fireplaces, separate guest quarters and more. Most striking is the outdoor pool entertainment and Private courtyards that offer a seamless transition from indoor to outdoor. This popular but fashionable style home is perfect for entertaining or to raise a family. Close to Historic downtown Fort Myers/River District, Edison-Ford Winter Estates, Hospital, Public and Private schools, Fort Myers Country Club, dining and shopping. Its all here to enjoy.